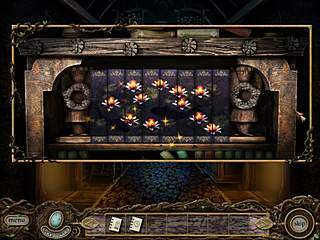 Investigate ancient mansion, meet its enigmatic creatures and reveal the truth in this highly captivating game! One more thing that surprised me was the folk song at the beginning of the game. I stopped the game and started it from the beginning to listen to the song again. It was really amazing song. I think you will love it too. So, as main heroine you will have to investigate the house, meet its enigmatic creatures and unreveal the truth, hidden in this ancient building. As usually you will do different tasks, look for important clues. You will also often have to return to the same locations to complete the tasks. As for me I didn't find it boring, because of amazing music, and beautiful graphics. To tell the truth, I didn't like voices in Margrave Manor and Margrave Manor 2, so I turned of the the sound during the dialog scenes, but it was a pleasure for me to listen to the characters' conversations in the Margrave: The Curse of the Severed Heart, because of excellent voices! Thanks to voice actors! There are also two modes: a casual and expert. The only one difference you can find here is a faster hint recharge in the casual mode. There are also a lot of minipuzzles and minigames. I found the puzzles with dream cards quite interesting, and they were not so difficult as I expected. After Sslving the puzzle you get an item, which can be used in other minigames. For example, to name the ghost creatures you should solve dream cards and in return the animals give you a useful thing which will be helpful for you in further tasks. By the way, you can skip any of the puzzle after 30 seconds. As for minigames, they are interesting too. And I liked the minigame with piano a lot. It was nice idea to make such an interesting task, I guess! Usually I like HO, but not here. 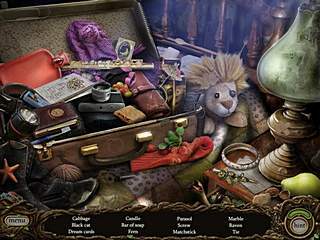 I did wished there were a skip button for hidden object scenes in Margrave: The Curse of the Severed Heart. Sometimes I needed a lot of time to find the object, because of shadow spots or some background colors. It was a blessing that the hint recharges every 30 seconds, and the way it is shown where the object is, a bit unique. But the all atmosphere of the game will keep you in tension till the end! So, if you like mystery, secrets, enigmatic creatures, Margrave: The Curse of the Severed Heart is a must-play game! Well, are you ready to dive into the spirit world? 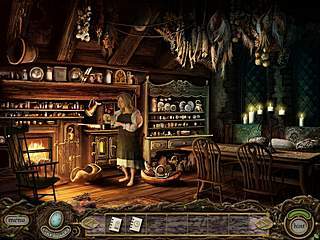 Use all your hidden object skills to find out the cause of Edwina's parents mysterious death in this highly captivating game! I just hope whoever writes these keeps witirng more! This is Margrave: The Curse of the Severed Heart review. Download this game here.